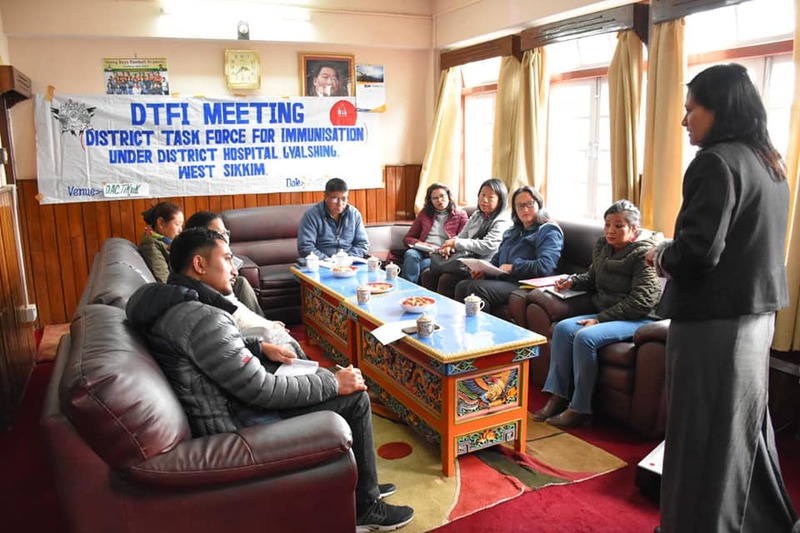 Gyalshing, 06 Feb (IPR): The Meeting of District Task Force on Immunization (DTFI) organised by District Hospital, Gyalshing held at the Chamber of District Collector, West discussed on the upcoming Intensified Mission which will be launched from 07-19 Feb according to the Departmental communique. 3. 2nd round of HPV vaccination (19.2.19- 06.03.19). The meeting reviewed the preparation of micro plan and district preparedness for implementation of National programmes successfully.